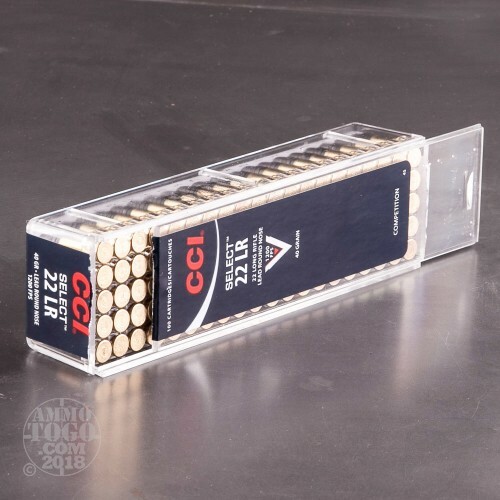 Ever since the introduction of their Maxi-Mag line of ammunition nearly six decades ago, CCI has fostered an excellent reputation for themselves in the rimfire ammo market. 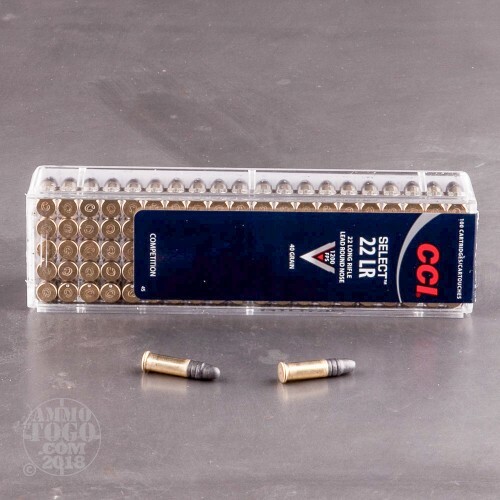 With their Select Precision line they cater specifically to the needs of the competitive semi-automatic shooter -- this 22 LR round does indeed move like a laser. 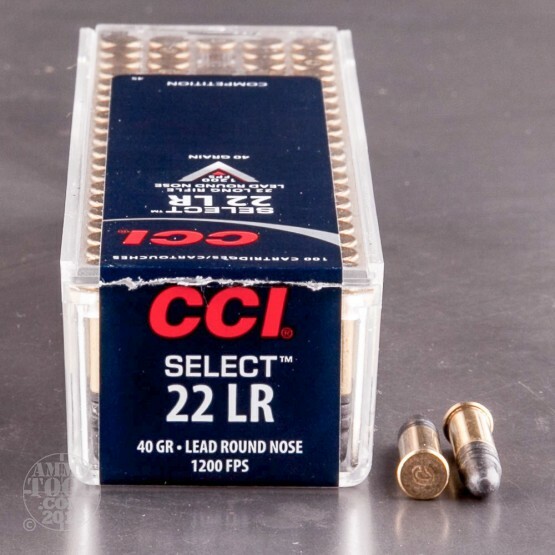 This cartridge is topped with a 40 grain projectile, the standard for its caliber. The bullet’s lead composition gives it the uniform density required for stable flight, and its round nose profile ups its aerodynamic profile nicely. This round’s propellant is carefully formulated and measured to deliver a highly reliable 1,200 fps muzzle velocity, making it supersonic and providing it with a very flat trajectory. 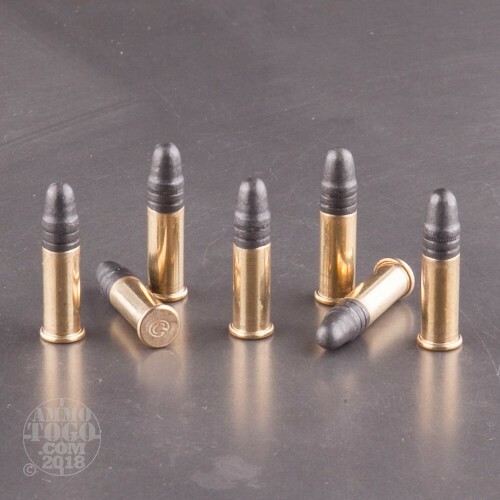 CCI’s precise manufacturing methods have ensured that this cartridge’s brass casing will feed like a charm from any magazine, and their primer unwaveringly delivers ignition. Chamber this round and all you’ll need to win is your aim!